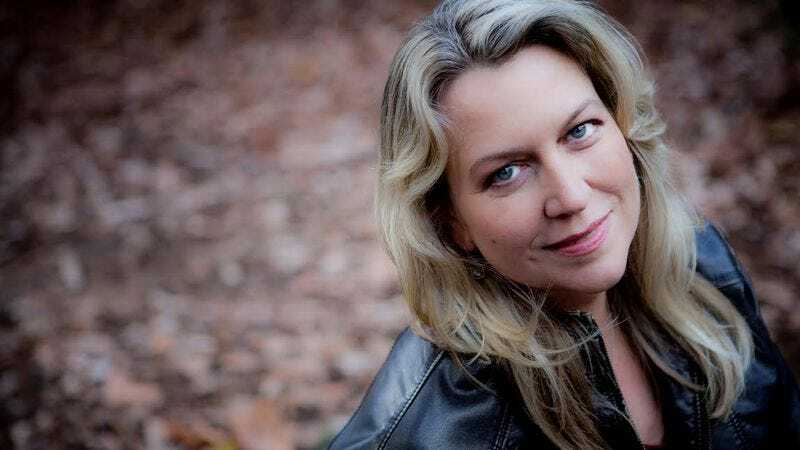 The reader: Cheryl Strayed knows how to talk the talk, and how to walk the walk. In Wild, her bestselling memoir of hiking the Pacific Crest Trail—which stretches from the U.S.-Mexican border all the way to the U.S.-Canadian border—she scored one of the great publishing successes of the past decade. The book inaugurated Oprah’s second book club and was turned into an acclaimed film that starred Reese Witherspoon as Strayed. Strayed had a fervent following before the publication of Wild, though it’s likely most of her fans didn’t realize who they were reading, as she published under the pen name “Sugar” in the hugely popular “Dear Sugar” advice column for for The Rumpus. Some of her most popular columns were compiled into Tiny Beautiful Things, released in 2012, which serves as an informal companion work to her latest book, Brave Enough, a collection of quotations released October 27. The success of Wild begat a number of hiking memoirs, including the recent Girl In The Woods, but for her Reading List, Strayed reached back to five other women who walked a walk before her. Cheryl Strayed: Once Wild got in the spotlight I was sort of showered with books in the genre, if you will, of women going on long walks. People would ask if I had heard of this woman or that woman, this book or that book, and I learned that there’s actually an interesting history with this sort of genre. But My Journey To Lhasa was one that I had discovered well before I wrote Wild. I was just utterly astonished by it. Have you read it? The A.V. Club: No, but apparently this is just one of a series of travelogues she’s done. CS: This is the only one of hers that I’ve read, but I was absolutely astonished. I couldn’t believe that I hadn’t even heard about this woman before. She went on an expedition to Tibet in 1923, and both the trip and the way she wrote about it are just astounding. Not only is the story fascinating, but she undertook it at a time when women rarely traveled alone, even in first-class ways. Meanwhile, Neel is walking through all these mountains and villages, which were incredibly dangerous for a variety of reasons. AVC: And she didn’t pack much besides clothing, a pistol, and ransom money in the event she was kidnapped. CS: Well, parts of the country, including Lhasa, were forbidden to foreigners, and she actually had to disguise herself as a beggar and as a man to even be allowed access into many of these places. The way she writes about the sheer physical suffering she went through just to reach Lhasa was just thrilling, and there is a lot of fascinating cultural writing as well. She was an extraordinary woman, which I’ve always loved to read about, and then on top of that I’m always thrilled to read about a kind of entirely different sort of world. I love this book. CS: This is the book that a lot of people started telling me about after Wild came out. It had been a hit when it was originally published in 1990 or so [It was first published in 1995.—ed. ], but I hadn’t been aware of it and I didn’t know of it when I was writing Wild. After Wild came out I was asked to attend the Jaipur Literary Fest in India, where I was to be paired with Robyn Davidson on stage. When I learned that, I figured I should start looking into her, and I realized I just had to read Tracks. What she shares with Alexandra David-Neel is that she’s a woman who just decides to do this thing—walk through the Australian outback—that seems ridiculous and impossible, and then she does it anyway. The thing I loved about Tracks is that while I just had me and my backpack on the PCT, Robyn decided to try to train camels to walk with her, with the idea that they would carry her gear and so forth. What ended up happening was that the camels were so hard to train and so much trouble that she basically spent half her trip chasing after them. It’s funny in parts, but Tracks is another one of those books where you lose yourself in a world that’s not necessarily your own. AVC: What’s interesting about this book relative to your other choices is that Davidson never gives a reason for deciding to go on the trek. That’s left unsaid, and I found that particularly compelling. CS: Oh you see, that’s interesting, because I found that to be the part of the book where I was like, “Ugh, just tell us why you’re on the journey!” Did you find, as a reader, that this choice made the book stronger? CS: Interesting. For me, at a certain point I just decided to wrap myself up in the journey itself and forget about the why. When I talked to Robyn on stage, we talked about this. So much of Wild is about what brought me to the Pacific Crest Trail; really, it’s half about that. Half about me, half about what the trail was like. Obviously there are different ways to tell a story, and clearly she wanted Tracks to just be about the journey, and not about the emotional component. As a reader you just have to decide to not think about what brought her out there, or at least consign yourself to not knowing. CS: This is a similar kind of book, in that you have another woman who is walking with camels in an extremely desolate kind of landscape. At the time she did this 1,600-mile trek, Helen Thayer was 63, or into her 60s at any rate. Unlike the other women on my list, she did it with her husband; he went with her. And he was a decade older than her, in his 70s, which is also remarkable. Thayer is just someone who I think is an incredibly interesting person. She dedicated her life to having these sorts of adventures around the planet, most of them on foot. There’s something so powerful about stories where people set off into the wilderness, and there’s something powerful in the practice of telling these stories. A lot of them are very environmental and eco-conscious without being overtly political or bashing things over your head. It’s enough to know the wild world is there. AVC: There’s something inspirational about the idea that explorers can still exist, despite how interconnected and settled the modern world is. CS: And Thayer is such a determined and strong and calm person. I love that. And she too has some fun camel tales, too, though her camels were a little better behaved than Robyn’s. I’d follow her anywhere, basically. AVC: This is one of those true stories, like The Immortal Life Of Henrietta Lacks or The Devil In The White City, that you’re kind of blown away that you hadn’t heard before. CS: I included this on the list, but I’m actually only reading it right now, which I hope is okay. I was giving a talk in Spokane, Washington a couple of weeks ago, and Linda Lawrence Hunt, the author of this book, gave me a copy. I was so happy to get it because this is a book that many people over the past several months—many readers on my social media—have popped up to ask me about. “Have you read this? You have to learn about this woman.” So I’m just learning about her now, but it’s like the experience I had with Alexandra David-Neel; Helga Estby is another extraordinary woman that I hadn’t heard of at all before. She was a Norwegian immigrant who decided to walk across the country, from Washington to New York I think, and of course it was exhausting and dangerous in all sorts of ways. We were talking about motives before. In this case, money was her motivator. Some mysterious sponsor had offered $10,000 to whatever woman could walk across the country, and at the time Estby needed money for her mortgage, for taxes, so she did the walk. Actually, she did it with her teenage daughter. It’s just a fascinating story, and quite a different trek than the other books. CS: My list wouldn’t be complete without bowing to the fact that many, many, many of the books I’ve read over the past few years have been the books I’ve read out loud to my kids. I have a daughter who is turning 10 in a few days and a son who is 11. We have really gotten into this series called Who Was… and then you fill in the name; there are ones on all sorts of historical figures. I wanted to give a shout to Sacagawea, though I’m probably not pronouncing her name right. She was of course the woman who walked her way along with the Lewis and Clark expedition and really played an essential role in their ability to do what they did. There’s a book—its a novel—called Sacajawea, by Anna Lee Waldo. It was a smash hit in the ’80s, a huge blockbuster in the mainstream popular fiction category. I read it when it came out, so I must have been 12 or 14—my early teen years at least. Probably if I were to reread it now there would be all these things that would be incredibly wrong with it, either from an historical or political perspective, but at the time it really did spark my awareness of, and interest in, this woman. Until recent times, you would always hear about Lewis and Clark—things are named after them, they’re honored in all these ways—but you would never hear about Sacagawea, which is terrible because she has this fascinating story. She was basically forced to go along with Lewis and Clark, and she ended up being essential to what they did. So when I went looking for other books to read about her, this book—Who Was Sacagawea?—was basically it, even for grown-ups. There’s some stuff that’s been written about her in the context of Lewis and Clark and other people, but very little that is written just about her. So that’s why this book made my list; it has been informative to me as a grownup, and it isn’t just as a book for kids in that regard. AVC: Do you remember learning about her in school? CS: I don’t. Did you learn about her? AVC: No, and my class had a whole unit on explorers. I know her from being on the coin, and she must have come up in the explorers unit, but if so she would have just been given sidekick status. CS: Fascinating. I thought you were asking because you were going to say you had totally studied her; I thought this would be a difference in our generations. It’s sad to hear it’s the same now. AVC: She’s another forgotten woman of history, like Helga Estby from Bold Spirit. CS: You’re right. And that’s why this Who Was series, I have to say, has been a really great resource for me. I want my kids to not just learn about men in history—obviously, there are a lot of great men throughout history, I don’t mean to diminish that—but I love that this series acknowledges the women who have also contributed greatly. Really, I was in despair when I was looking for what else there was about her, because there really isn’t much. AVC: The historical record is very thin. CS: Well, the historical record is thick, there’s just a lot we don’t know about her compared to Lewis and Clark. Because she was a woman, because she was a Native woman, she was not considered a central player. In the official documents that were created, the notes Lewis and Clark took, she was often mentioned just in passing. That’s even though she was their guide, even though she saved their lives. Lewis and Clark even write that many times, that she helped them get through a significant part of their journey, but she doesn’t get much recognition beyond that. Plus, she was a teenager at the time! And—and this also blows me away—she had a baby along the way! She strapped that baby to her body and did the trek while she was nursing and carrying her baby along. That’s really astounding.